How to find right prototype manufacturer? When deciding whether a prototype manufacturer will be needed, you must first determine the batch size of the product you are developing. Batch size is the number of products you plan on producing once your product is introduced to market. 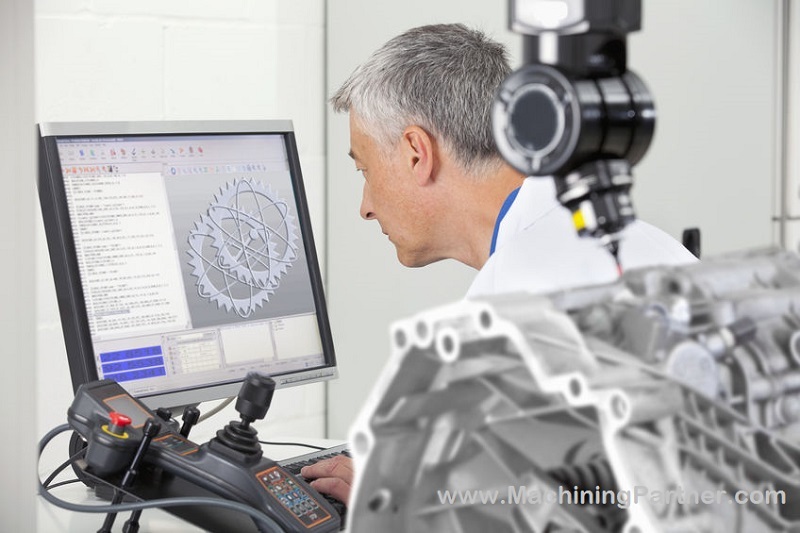 If you are doing a product with a small batch size such as heavy machinery for machine shops, or a customized product for specific customers, you are most likely able to over-design for function and reliability and do not need to focus as much on pricing. In small batch situations such as these you will not require a prototype manufacturer. In some small batch situations, it may be wise to use a prototype manufacturer to test sub-systems of the product, especially if that part will be used multiple times throughout the product. For large batch sizes, it is usually economical to use a prototype manufacturer. Large batch sizes often require tooling, which can be very expensive. Mistakes in tooling can cost over $100,000 to fix if you are creating complicated or precision parts. It is much wiser to discover problems with a prototype than to fix them during or after production has begun. While I cannot tell you what your part is going to cost, I can tell you that you will most likely pay high shop rates for prototype manufacturing. The reason being that there is little or no automation in prototype manufacturing, this means it is a very labor intensive process and shops cannot “set it and forget it”. Average shop rates in the US right now range from about $60/hour to $160/hour, depending on the types of machines and expertise needed. It is not uncommon to sign a contract or agreement with the prototype manufacturer as the only manufacturer of the product for a given period of time during production. This is most often done when the purchaser feels the shop has the best rates, or is able to offer expert advice to the product, that cannot be obtained anywhere else. However, this is only recommended when you are sure of the quality and pricing of that manufacturer. Do not simply sign an agreement to save money on the prototype, before you know the quality of the product. I am aware of situations where a prototype was to be developed with a machine shop; before the prototype was done the machine shop supervisor had decreased the price of the product from about $34/piece to under $3/piece as well as increasing the functionality and durability of the product. While this is not common, be aware that the right manufacturer can add value to your product. You must understand that when you are dealing with prototype work it is most likely a nuisance to the prototype manufacturer. This work is most often only picked up in order to obtain a contract for the bulk quantity orders that hopefully will follow. That being said, you will be lucky if you are able to move your prototype work to the front of the line with a prototype manufacturer. While you may feel that your prototype is very important and will lead to large orders, most manufacturers have dealt with many empty promises when it comes to prototype work, and will most likely not expedite your prototype unless you pay some sort of fee to offset for the inconvenience. Manufacturer shop sizes can be a double edged sword. The ideal price for prototype work is your friend down the street that has three phase power wired in his garage full of tools, is very handy and willing to do you a favor by manufacturing your prototype at a cheap hourly rate. However, there is much to be gained from having a prototype manufacturer do your work that could actually move the part into production. While this is often harder to accomplish it can be very beneficial for a few reasons. If you have a larger shop as your prototype manufacturer, the chances are very good that they will have about 5 suggestions immediately of how to modify your product to manufacture it for less and at a faster rate. If you can show them that you already have a successful marketing strategy or orders for the product, they may be very willing to do the prototype work for less. By choosing a prototype manufacturer that is able to move the part into production, you may also be able to save yourself one step in quality assurance by treating the prototype as a product sample. If you are creating a new prototype for a product that you already have in distribution, you are better off using a larger company as your prototype manufacturer. If your product is a new product and you have not yet begun marketing or distribution, most choose to keep costs down during the startup phase, and will use Joe Neighbor down the street to create your prototype. There are a few ways to save time and money with your prototype manufacturer. Break the product down into smaller pieces – If you are creating a complicated part, it may be easier to break the product down into smaller jobs that are simple. It can be overwhelming to a prototype manufacturer if a complicated part is brought in for development in which they may not be equipped to manufacture. Many will not want to take the time to work with your prototyping. Rapid prototyping instead of tooling – There is almost always a way to avoid creating tooling for a prototype. Some examples are CNC machining and material removal processes. One option that is often overlooked in the production process is rapid prototyping. While it is not a great option for a functioning prototype usually, it can work for specific parts that can be difficult to manufacture in single quantities. Plan ahead to allow for longer lead times – The lack of time can often lead to very high fees from a prototype manufacturer. As stated before, you will pay very high rates if you would like to move your prototype work to the front of the line. In order to save on cost, be sure to allow enough time for the prototype work to be completed without needing to expedite your order. MP can assist you in finding a prototype manufacturer; simply create a free listing for your project and manufacturers will submit their quotes. You can communicate with them privately, or on the message board within the listing if you feel your answer could benefit all bidders. Check the profile of the bidders and review feedback. There are other helpful articles on the website that can help ensure you find the right manufacturer for your prototype or manufacturing work.